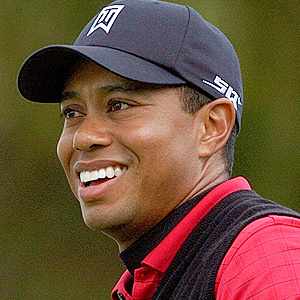 Find out whether or not these restorations could breathe new life back into your smile. Crowns and bridges are two of the most commonly used dental restorations. They’ve been around forever, and there’s a reason why. Our Zanesville, OH, dentist, Dr. Jeff Labishak, knows that even with the best intentions, dental injuries and other problems can leave you dealing with damage. Luckily, crowns and bridges might be just the thing you need to turn your smile around. If you are missing a tooth, you may have heard that a dental bridge might be a good option for replacing the tooth. A dental bridge is designed to fill the gap where your tooth once was with an artificial tooth replacement. In order to hold the bridge in place, two crowns on either side of the bridge will be cemented over healthy, natural teeth near the gap. These crowns will then support the false tooth in the middle. A crown is a hollow tooth-shaped restoration that is designed to cover over the visible portion of a tooth to protect it from further damage. This is often the case when you have a tooth that is weak or damaged by decay, trauma or an infection. If you have to get root canal therapy, a crown will often be placed over the tooth after treatment to protect and preserve the tooth and restore function and strength. Of course, crowns are pretty versatile restorations so our Zanesville general dentist will also use it to cover a tooth that is malformed or severely discolored to improve its appearance, as well as use it to cover a dental implant to replace a missing tooth. Both bridges and crowns are custom-made to fit your smile. In order to get either of these restorations we will first need to take impressions of your teeth. These molds will be set to a laboratory, where dental technicians will begin creating your custom-made restorations. As is the case with crowns, we will also need to prepare the tooth for the restoration. This means, shaving down a significant part of the tooth’s crown so that the artificial crown can fit over it. Once tooth preparation is complete we will often place a temporary crown over the tooth to protect it while your permanent restoration is being made. Usually, within a week you will come back into the office so we can check the fit of your permanent restoration and then cement it into place to restore your smile. The Smile Shack in Zanesville, OH, is dedicated to providing the general, cosmetic and restorative dentistry you deserve. Our family dentistry practice caters to patients of all ages, so call our office today to schedule a routine cleaning or to discuss whether crowns and bridges are right for your smile. Improving your smile can be as simple as adding a crown or bridge. Dr. Jeffrey Labishak, your Zanesville, OH cosmetic dentist at The Smile Shack Family Dentistry, explains the uses and benefits of these dental restorations. 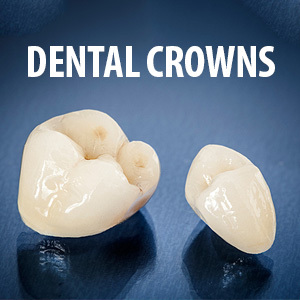 Crowns are hollow, tooth-shaped restorations made from a variety of durable materials, such as porcelain, porcelain-fused-to-metal, ceramic or resin. They fit snugly over teeth, providing support for weak or damaged teeth. Because crowns cover your teeth on all four sides, they're also an excellent choice if you would like to conceal a cosmetic issue. Crowns are also used to create bridges, restorations that replace missing teeth. Bridges consist of one or more artificial teeth suspended between two crown. Who can benefit from crowns and bridges in Zanesville? Cracks: Cracks eventually become breaks. Adding a crown to your tooth prevents it from breaking and also seals it, stopping bacteria from entering through the crack. Damaged or Broken Teeth: Crowns offer the ideal way to restore broken or damaged teeth. Fragile Teeth: Large fillings, root canal therapy or other procedures are essential to maintaining your oral health, but can weaken teeth. Crowns provide the stability fragile teeth need. Short Teeth: Grinding can cause one or more of your teeth to become shorter than the others, which can affect your bite. Crowns restore the height of your teeth and improve your appearance. Cosmetic Issues: Crowns are used to hide a variety of cosmetic issues, including discolorations, pits and chips. Do you have tooth that looks a little odd? A crown will help that crooked, twisted or pointed tooth blend in with the rest of your smile. A Missing Tooth: A missing tooth isn't just a cosmetic issue. Biting and chewing can be more difficult after tooth loss. A bridge makes eating easier and more enjoyable. Isn't it about time you improved your smile with crowns and bridges? Call Dr. Labishak, your Zanesville, OH cosmetic dentist at The Smile Shack Family Dentistry, at (740) 454-4112 to schedule an appointment.